Kosovo Prime Minister Ramush Haradinaj said today that at the end of this year the borders between Albania and Kosovo will be removed. 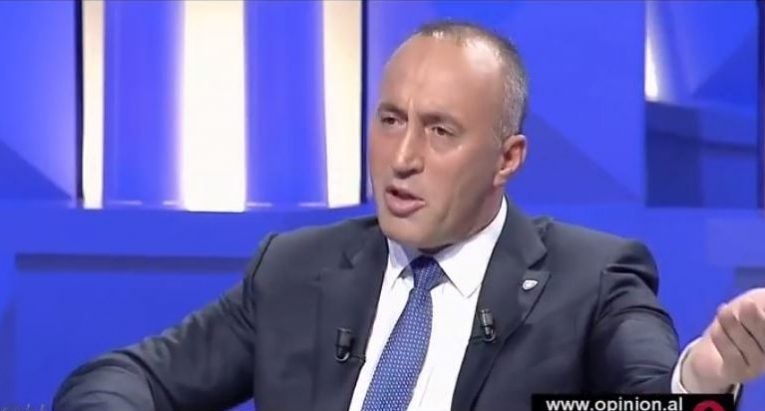 Haradinaj said in the "Opinion" show of the journalist Blendi Fevyiu that the border between the two countries has created obstacles and concerns, expressing thus the will to remove them. "At the beggining of 2019 there will be no more physical barriers on the Kosovo-Albania border. We have talked to Prime Minister Rama and other colleagues that somewhere in the changing of the years we will open the border. There will be cameras. There will be a monitoring, but there will be no physical barricade, not physical presence of control," said the Prime Minister of Kosovo. Haradinaj also spoke about the issue of border correction with Serbia, he stated once again that he is against this option. According to him, the statements that Presheva and Bujanovci will join Kosovo are just the words and the only purpose of Serbia is the looting of the North of Kosovo. "Having in mind of what happened I don't think that President Thaci has thought of it as a serious project. I think it is his political tactic. We respect the values of Kosovo Serbs. Despite our tragic past. We will not go to the solution until the corrections of the territory. We do not open our past. There is no return, even the countries that do not recognize us, the coming year, these countries will know us. We will fight to become NATO members. The boundary will not change. We will not allow our borders to be touched," said the Kosovo Prime.